Have you done your block(s) for Boston? I finished mine up last Thursday, and now need to take a trip to the post office to send them slightly south. This block is a “Road to Tennessee” block. How could I resist? A block named for my old home, sent to cheer and warm people in my new home. Perfect. I used a tutorial posted at Sew Me. 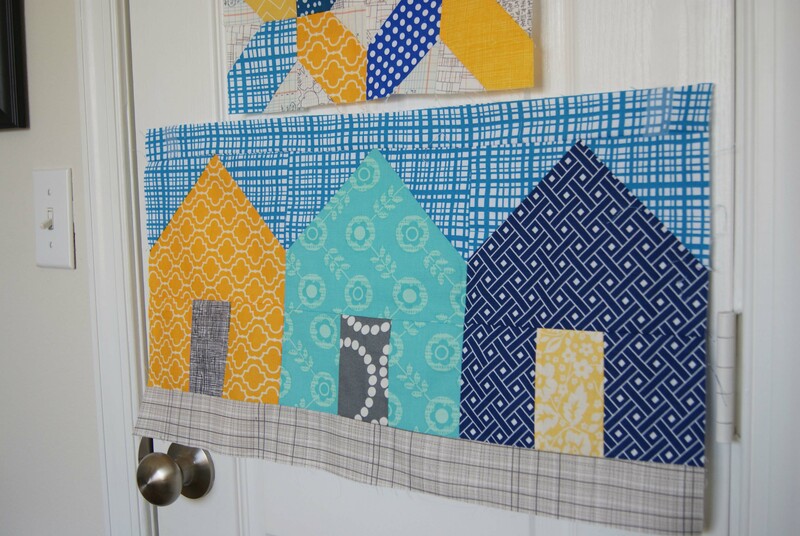 For my second block, I dug up Allison Harris of Cluck Cluck Sew’s Suburbs pattern, available for purchase here. I ordered this pattern the minute she published it and have been dying to give it a try. This is a huge block, more than 20” long (but it is 12.5” high). The little houses came together very quickly, and this pattern is so smartly written! I can’t wait to have time to make a big quilt out of it. I hope there are no quilt police in Boston who will come after me for my missing point. (Of course it WOULD be the middle house). 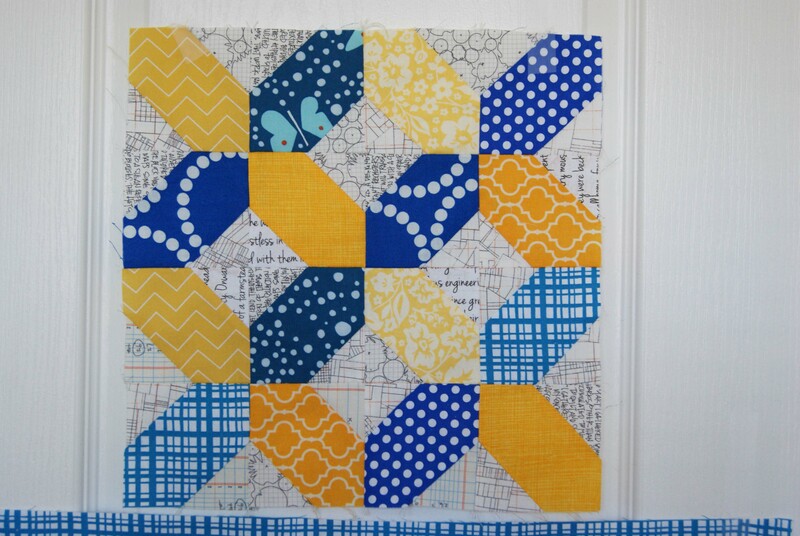 If you are going to make a block for Boston, the BMQG blog has a post with all the instructions and information you will need. Blocks are due in Boston by May 24. I know the BMQG is working hard to schedule sew-ins to complete the quilts. I also know the quilts are very needed, and will make a big difference. Linking up to Let’s Get Acquainted, this week at home with Plum & June. These look great. The quilt police has better things to do surely. 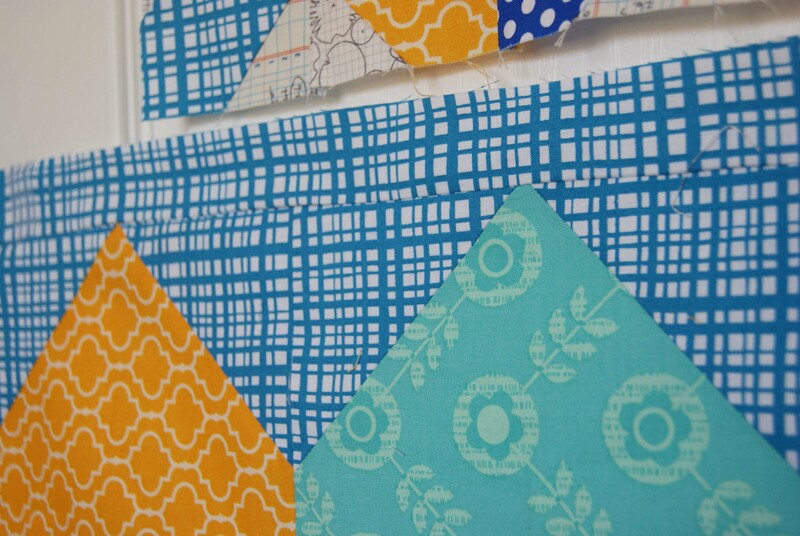 I love the background fabrics you used for the Arkansas blocks. Those are some of my favorite blocks too. I want to make an all solids one for my bed one of these days. Cute houses!!!! We are far too hard on ourselves. Laura! I haven’t made my blocks yet, (procrastinator). Yours are gorgeous! I love the houses!! They are wonderful and cheery! Love the colors in your blocks. Really like the row of houses! These are so cute! I love them both and your fabrics are perfect!